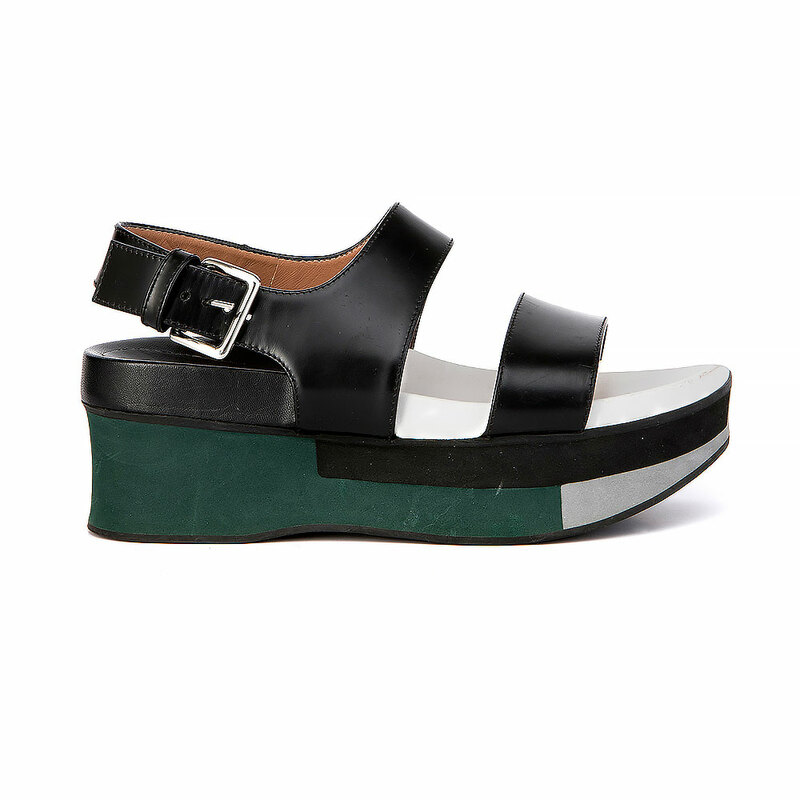 Size EUR 37 – Black and white leather Marni sandals with green, grey and black rubber platform heel and silver buckle closure at ankle. 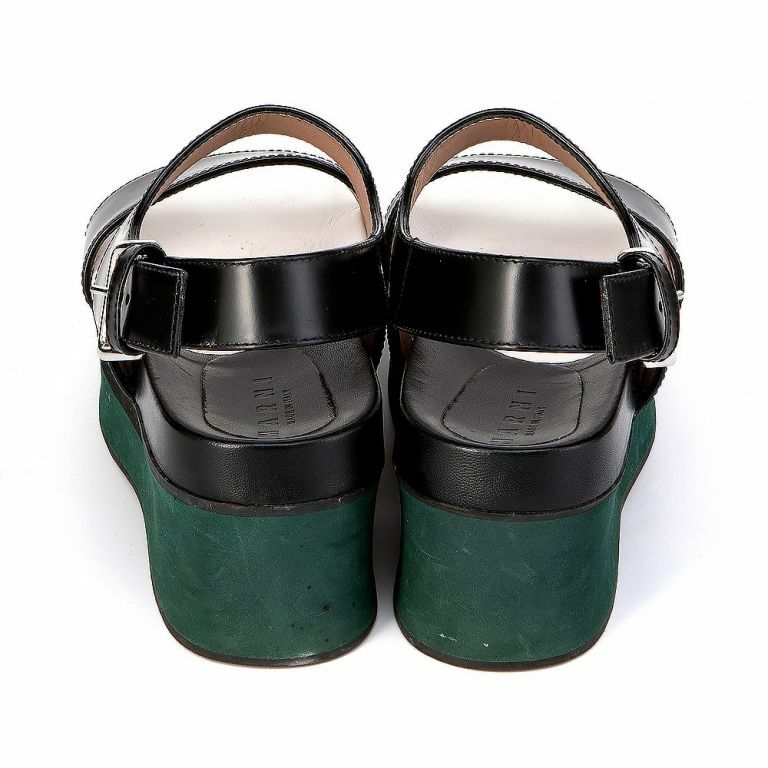 Size EUR 37 – For more information on sizes, please visit our sizing chart. Marni expands its retail network with the opening of new boutiques in Florence, New York, Paris and Rome. The Marni Market keeps travelling around the world, touching many different countries as Thailand, Japan, Canada, Singapore, Germany, France and for the first time Italy. Francesco Risso is included in 2018 “BOF 500 – The community shaping the global fashion industry”. The Changing Room is an online and instore boutique based in Cape Town, a place for people with a love of beautiful things to find authenticated luxury, designer and vintage pre-owned fashion items for sale and consignment. 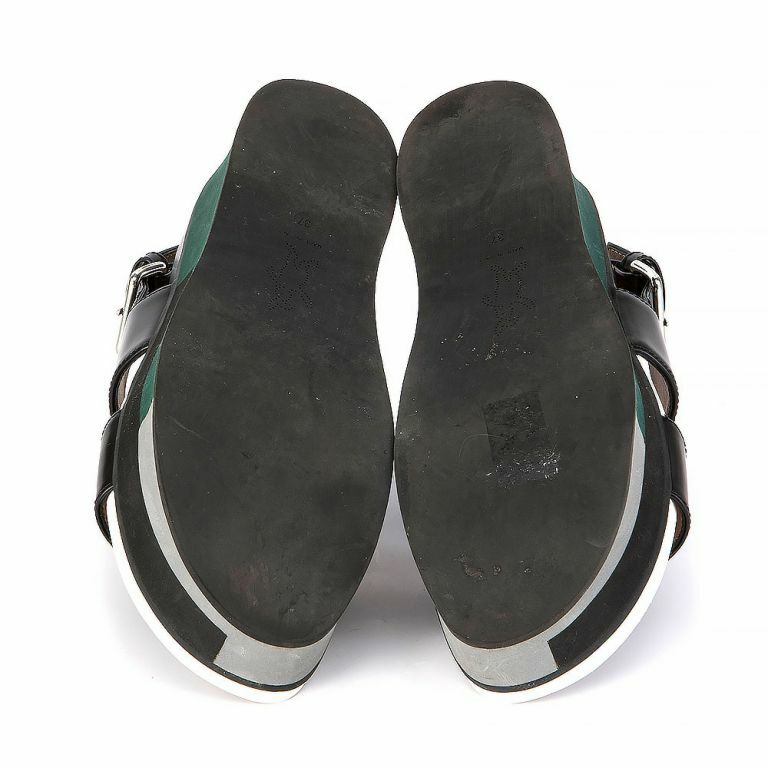 We’re committed to upcycling, keeping green and honouring heritage brands by extending the lifecycle of luxury items.